Virtual reality (VR) startup SmartVizX has raised Rs 10 crore ($1.4 million) in a pre-Series A funding round led by Indian Angel Network’s eponymous IAN Fund and angel fund YourNest Venture Capital. The company said in a statement that it will the use the money for the next phase of its global expansion. Founded in 2015 by Gautam Tewari and Tithi Tewari, SmartVizX builds immersive technology solutions using VR to help influence decision-making for real estate and other industries. It had previously raised $500,000 (around Rs 3.4 crore) from IAN and Stanford Angels and Entrepreneurs India (SA&E India). The NCR-based startup has also announced the launch of Trezi, a VR-based platform for architecture and interior design collaboration. "It is one of the first such VR platforms and will revolutionise the architecture-engineering-construction industry,” said Tithi Tewari, co-founder and managing director of SmartVizX. Tithi Tewari holds a bachelor’s degree in architecture from CEPT Ahmedabad, and has completed programmes in LEAP (Leadership Excellence through Achievement and Practice) from INSEAD and MPSFI (Managing Professional Service Firms in India) from Harvard Business School. Gautam Tewari has a masters’ degree in construction management from UNSW Australia and is a Leadership in Energy and Environmental Design-accredited professional. "IAN spotted this potential early on and decided to support the company and its innovations," said Mohit Goyal, co-founder of IAN and lead investor in SmartVizX. According to the company, the VR market is expected to touch $150 billion by 2020 with multiple levels of functionality across sectors. Goldman Sachs estimated that the opportunity for VR in the consumer real estate industry will cross $2.5 billion by 2025. 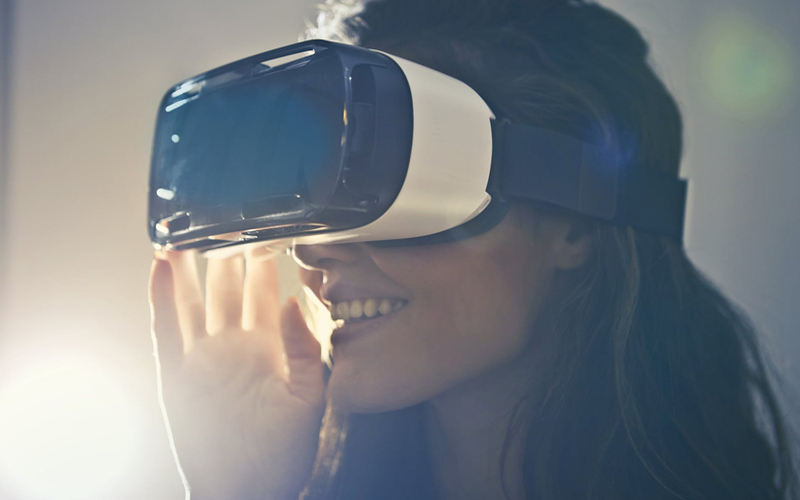 Earlier this year, home rental startup FastFox told TechCircle that it was exploring the use of VR to help its customers. Under the facility, a person seeking to rent a house will be contacted by a FastFox agent, who will bring home the VR gear and show the person around the apartment of interest. Property listing portal Housing.com had launched a service on similar lines a few years ago. A few startups in the VR space have raised funding over the past year. In January, Scapic Innovations Pvt. Ltd, a VR and augmented reality (AR) platform, had raised $500,000 in a seed round from Speciale Invest, Axilor Ventures and Newfort Capital. Before that, Exfinity, US-based investors Lumia Capital, Pipeline Capital, NexStar Partners, Unshackled Ventures and the Explorer Group had invested $2 million in GridRaster Inc., which provides VR and AR experiences on mobile devices. A year ago, Chymera VR Inc, a VR advertising platform, had secured funding from a clutch of angel investors, including People Group founder and chief executive Anupam Mittal, Airbnb’s global expansion head Varsha Rao, Google executive Surojit Chatterjee, and HHC Holdings chairman Nirav Choksi. IAN is the country’s most prolific angel network, having backed more than 110 startups so far including Druva Software, Sapience Analytics, SP Robotics, Far Eye and Unboxd Ltd. It made 40 investments in the financial year 2017-18. IAN’s Rs 450 crore fund invests in sectors including healthcare and medical devices, software as a service, marketplaces, fin-tech, big data, artificial intelligence, and hardware. YourNest Venture Capital is an early-stage VC fund that invests in deep technology and primarily focuses on B2B firms. It has backed 20 startups including Mycity4kids, Proof of Performance, Uniphore Software, Simpli5D Technologies, Bookmycab, GolfLan, BetaOut and Rubique.com.